As I have announced ad nauseam, after the BABEL conference I will disappear into my hermit's hut and not be spotted again until winter gales are a-howling. Ivory billed woodpeckers will be quotidian compared to J J Cohen glimpses. But before that happens I have to get some obligations off my plate: the finishing touches to Prismatic Ecologies, that nergling little co-plenary I'm supposed to give with Lindy Elkins-Tanton (hint: both of us will talk about rocks and cataclysms), and the essay I promised for the inaugural issue of O-Zone, Object/Ecology. You will recognize a little bit of this piece as I've shared it here before, but this is a new and experimental form for a journal that (I am told) will take some creative risks. So here is my draft. Let me know what you think. United Airlines flight from DCA to DET. March 2012. Severe weather in Ohio and Pennsylvania has triggered numerous diversions to Detroit. I do not take the extra forty minutes we spend circling the airport as an omen of things to arrive. It is. A large room in the student center at Eastern Michigan University. The symposium “Nonhumans: Ecology, Ethics, Objects” is underway. Craig Dionne introduces the event. Eileen Joy presents the two speakers. My talk is a careful choreography of words and images. Social anthropologist Tim Ingold has argued that like the verbs “to grow” and “to dwell,” “to produce” is intransitive and nonteleological. Whether affects, perceptions, artworks, objects, or story, we insistently produce. Ingold is speaking not only of humans but of “life itself,” of the nontotalizable amalgams of forces and substances that knot into ecologies and which create without necessary intention. Among these productions are numerous recording devices that inscribe, transmit and intensify relation – things without which I could not stand in this room, could not share with you some thoughts on how narrative-objects companion other kinds of things. Our longest functioning clock and most extensive archive is lithic, geological strata thick with primal traces, monsters, catastrophes, burgeonings, intimations of possible destinies. Other libraries include tree rings, ice cores and DNA, even if these devices hold more data than evident story. If narrative is a future-saturated device for artful connection-forging (that is, an apparatus of composition, of production), then humans are among the world’s most finely attuned story machines. Only stone has fulfilled this charge with stauncher historical determination.A densely populated and ceaselessly generative thingscape as well as mingling of biomes, the world produces, endlessly, objects without necessary objectives, except more production. Life swarms, inorganic substances proliferate, new forms burgeon (or at times vanish). Ecology is the study of open systems impossibly full. As various object oriented ontologies have insisted, every thing or unit or machine at every scale possesses integrity and infolded mystery. With humans and inhumans alike, then, we must through narrative and other kinds of action foster ethical relations: complicated, hesitant, consequence-minded interconnections that thicken, fructify, and affirm. Narrative is the intermediary by virtue of which these environmental meshworks, mangles and networks are articulated, documented, vitalized. Thick with voices and dense with agency, an object exterior to any author, narrative also breathes with its own life. As Tim Morton writes, “Reading a text is a profoundly ecological act, because ecology, at bottom, is coexistence (with others, of course), which implies interdependence.” Narrative is not the only means we possess for plumbing ecological entanglements, but its partnership has proven enduringly potent. These human/nonhuman entanglements could also be called elemental relations. Whether in classical philosophy (Empedocles and his earth, air, fire and water) or common parlance (referring to the hostility of weather and landscape) the elements are at once the most intractable, enduring, agentic and fundamental of materials. 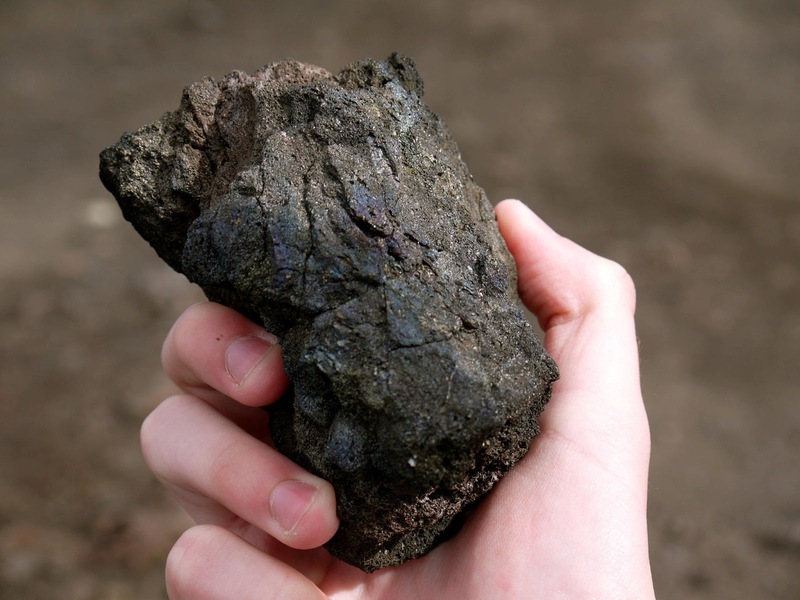 Thick stone is documentary, the material of our earliest surviving tools and the conveyor of human prehistory. Restless water is that which cannot be inscribed (except as ice), a substance enclosed within our bodies as memory of a briny origin, the force through which we domesticate landscapes. Wind is propulsion, power, spirit, tornado. Fire is obliterative, the partner through which we transformed every terrain into which we stepped. Though they are perilous, even lethal, without elemental confederations we would possess no homes in which to dwell. Smaller than gods and larger than atoms, the elements offer a human-scale entry into nonhuman relations. Unlike vast divinities or minuscule particles, invisible because alien to our scale, the elements are amenable allies because their narratives are noisily audible, their activity energetic and obvious. The slowest and the swiftest, rock and flame, are the most challenging to contain within customary frames. Though both are processes as much as substances, humans do not naturally inhabit lithic or igneous temporalities. Our moderate duration is closer to air and water, the two elements behind storm. Yet fire and stone likewise flow, at least when we accept their invitation to nonanthropocentric measures of time. Their stories convey the fertile past and pulse with futurity. Through our alliances with the elements we humanized ourselves: no cooking or clearing without fire, no foundations without stone, small movement without water and air. Fundamental, the elements are also that which will remain long after our departure. The elements do not need us. They no doubt relate to each other on their own, outside of human terms. As Graham Harman writes, when “the gap between humans and world” is “privileged over the gaps between tree and wind, or fire and cotton,” we end up reinscribing a tiresome anthropocentricity that measures all things solipsistically, as if humans were the apex of the universe rather that one creative and productive agent among many. Time neither culminates nor ends at the Anthropocene, and even though we are irremediably human it does not follow that the measure of all things should be our limited senses. Yet this object oriented realization does not allow us to wave good-bye to an earth we’ve ruined, departing for realms that aren’t so postlapsarian, for Edens that remain unspoiled because it’s impossible to dwell in them. Human-scale elemental relations assist in avoiding the pratfalls of scientism and theology, to roam a world with no answers in advance, no outside to what we’re intractably within: a co-inhabited realm of humans and nonhumans, neither the measure of the other, a stormy fiery watery earthy text-loving expanse that isn’t anthropocentric, but also isn’t indifferent to me as I am telling you this story and you who listen and consider, for a while, how roiling the ground beneath us might be, how inadequately or well we have constructed our shelters – this very room – with and against the elements, what happens when the door blows open and something unexpected arrives. We travel to medieval Iceland, and a story of sudden advent. A door will burst from its hinges and dangerous strangers arrive. Meeting room in the student union at EMU, continued. Same building. A windowless auditorium: noisy, crowded, warm. I am thinking about interruption and advent. My presentation was timed to unfold with a flow of visual commentary: stone, water, flame, cloud. I'd taken these photographs in Spain, France, Germany, England, Australia while pursuing my elemental research projects. Visual journal of my wandering years: makeshift inuksuit on the shore of southern Maine. Sunrise, and a raven atop a menhir. Candles burning in Sagrada Familia. Fragment of the Berlin Wall. Rocks like seaborne castles along the Victoria coast. The miroir d’eau of Bordeaux at night, my son and daughter blurred in their running. Pebbles on a Jewish grave in Montparnasse. When the garbled announcement intruded from the hallway, I spoke over it, assuming the words had nothing to do with us gathered in the room. A man entered and declared the tornado. Much of the student union is made of glass. We were led to an auditorium in the building’s center where we sat for almost two hours, watching the progress of the F3 on a monitor. Excitement yielded to boredom, a student group recited poetry, some Girl Scouts played Duck-Duck-Goose. I pretended to need the restroom so that I could watch the deluge outside: green sky, gale and relentless flood. No one was injured by the whirlwind, but homes in a nearby town were smashed. When we were evacuated to the shelter, I was just arriving at the portion of my paper about storm, shelter, firm doors bursting and intrusion’s shattering of the home. Ok í því brast sundr hurðin. The wind had been howling for days, winter’s advent, and when it stopped Grettir knew trouble neared. The shepherd’s hut had been home in exile, shared with his brother, a servant, a ram. He’d spent days inside. A knee wound from an axe stroke gone wrong was suppurating, and Grettir was dying. “Ok knýr heldr fast,” the hard knock of enemies at the threshold, the door about to break. Grettir had depended on Drangey’s loneliness to ward him. The island was sheer cliff, every side. Grettir cursed the need for fire that had driven him to chop driftwood and cut his leg, an injury that held him to an unaccustomed bed. He grasped his sword as the timbers yielded. In the past Grettir had been on the other side of such doors, breaking wood from hinge. He had been that thing against which houses are constructed, that which an oikos excludes. Now all that the house been constructed to exclude would soon be within. This place where I am writing. August, 2012. Grettir’s Saga was composed in the fourteenth century by a Christian imagining what life must have been like during Iceland’s Viking Age. As much monster as hero, its protagonist is a complicated warrior never fully in control of his impulses. His decapitation on a lonely island at the hands of a man who has long hated him is the culmination, twenty years after the fact, of a chain of events sparked when Grettir stole fire from a similarly lonely home and its wooden walls went up in flames, incinerating those within. Skapti the lawman declares before Grettir is outlawed for this deed that “a story is always half told if only one side speaks” (46). Skapti is speaking of human litigants, but what about the land that anchors the narrative, the rocky places of refuge, the stones constantly lifted and hurled? What of the sea that quickly enables distant travel, and that also rages and churns? What of the gales that blast the island, that keep an ill Grettir in his island home, secure from its bite, and cause such mystery for his servant that he neglects to raise the ladder at a pivotal moment? What about the fire that lights the evening, warms at the hearth, and consumes human lives? These elements possess story. Water is the Viking roadway, stony islands their farms and bivouacs, the matter of foundation. Flames that reduce households to ash exert material as well as narrative agency. The narrative is alive with nonhuman characters. Even humans become objects of a sort, sometimes walking in death, forming their uncanny alliances with subterranean spaces or the shimmer of the moon behind winter clouds. The Old Icelandic term for what we’d call a zombie or vampire is draugr or aptrgangr, “return-walker,” a person still moving after reduction to a corpse’s putative inanimation. The dead are supposed to be as immobile as the stones beneath which they are buried. But what if those rocks also reveal themselves as exerters of unexpected agency, holders of an uncanny life? Rock is our most inert substance, our cliché for inaction, our symbol for givenness, an element that Heidegger declared weltlos (worldless), the very substance of the impassive Real. We found our lives upon a base of stone but do not take stone’s power to initiate into account. What if we did? Our narratives might change. We’ve fucked up the world we inhabit, this place without a beyond. Unless we refashion our relations to materiality and objects, unless we learn to compose our stories and our ethics not from the elements (as if all that is inhuman were a resource) but with them (as agency-exerting partners possessed of unsounded depths and innate dignity), we may well find ourselves in a grey and brown space of stumps, fumes and sludge – like the ending of The Lorax, when the grumpy little ecologist hoists himself by his keister and vanishes into the smog, abandoning humans to their industrial mire. Yet despite what we know from the denouement of ecocastrophe narratives, a dark ecology is not necessarily The End. As Timothy Morton has observed, even toxic sludge possesses aesthetic power and numbers among the “irreducibly unique” objects that compose our world. Muck is a terminus only from a human point of view. Produced by humans, by factories, by elements, sludge is likewise productive: of feelings, of stories, and even, perversely, of life. Playing with fire leaves you burned, thinking with stone leaves you smarting, water has a cold sting. Elemental relations quicken as they bind, thicken as we cultivate an ethical complexity with their materiality and force. They emerge within narrative but they do not necessarily become servants indentured to anthropocentrism. Narrative enables the envisioning of realms at times indifferent to us, thingscapes that often excludes us, but through that imagining we connect and interdepend all the more deeply. Materially, ethically, narratively we’re too entangled to escape this call to dwell with rather than despite, against, or through. Narrative is the relational machine of ethics, and the perspectivism of stories is our complicated but unremittingly productive angel of connection. On ground that is never firm, lit by dangerous burnings that are also our sine qua non, we imagine more just modes of coinhabitance. Through stories of stone, fire, wind and water we attend with slow care to the ethical bonds that ally us with a thing coming always into being: with that impossible and always already ruined but absolutely essential converging of restless elements that is the world. I have been untruthful about my partner in composing this essay. The tornado interrupted ahead of schedule. The door had not yet been threatened. No monster or storm was bursting the bolts, and I had not yet pronounced “Hold on.” The elements are seldom compliant. They have terrible timing. This essay, however, bears throughout the impress of the storm that suspended its origin. The presentation I was to give on “Elemental Relations” in March 2012 will never be delivered. This piece you are reading is not a substitute but a meditation on aftermath. The hurried evacuation, the time spent in the sweltering auditorium, the unexpected companionships a tempest’s advent engendered, the green sky and the relentless rush of waters, glass against gale, community within a whirlwind: all of these things convinced me not to postpone the performance, but to cancel. Something less solitary had already unfolded in its place. Relations had become participations, production, co-composition. At the all-clear we returned to the room and instead of my practiced talk I gave an informal account of things I might have said, of things the storm had asked me to think. I gave up on companionless performance. We had all the conditions in place for an emergence, for one of those rare moments when formality dissolves and bonds of unexpected solidarity become visible, and a conversation unspools, one in which everything can change, one in which even the unlooked-for and inhuman arrival had become an interlocutor. The tornado had intruded and in its wake we could not carry on as if the conditions of our gathering and the knowledge that we brought to our colloquy had not been profoundly altered. Elemental relations are elemental participations, and possess no exterior. Catastrophe has always intervened already, and catastrophe will always arrive again. We live in its midst. We have always lived in its midst, at a doorway that sometimes holds firm against storm but sometimes blows open and the elements arrive. My gratitude to Craig Dionne for extending the invitation that made this project possible, to Eileen Joy for nurturing its focus, to Timothy Morton for companionship at the symposium, and to the audience for the perseverance, great questions, and good cheer. Being Alive: Essays on Movement, Knowledge and Description (London: Routledge, 2011) 6. For network see the work of Bruno Latour, such as Reassembling the Social (Oxford: Oxford University Press, 2005); for meshwork see Tim Ingold, Being Alive 63-65; for mangle see Andrew Pickering, The Mangle of Practice: Time, Agency and Science (Chicago: University of Chicago Press, 1995). On narrative autopoiesis and agency, see Eileen Joy’s “Notes Toward a Speculative Realist Literary Criticism. On elemental ecocriticism see “An Abecedarium for the Elements.” postmedieval: a journal of medieval cultural studies 2 (2011): 291-303 as well as the special issue of the same journal devoted to “Ecomaterialism” (ed. Jeffrey J. Cohen and Lowell Duckert, spring 2013). Prince of Networks: Bruno Latour and Metaphysics (Melbourne: re.press, 2009) 67. Grettis saga Ásmundarsonar. ed. Guðni Jónsson. Íslenzk fornrit 7 (Reykjavík: 1936; reprinted Reykjavík: Steinholt, 2001); Grettir’s Saga, trans. Jesse Byock (Oxford: Oxford University Press, 2009) chapter 82. References to both by chapter number. This narrative from Grettir’s Saga forms a triptych with the essay I co-wrote with Stephanie Trigg on “Fire” for a forthcoming issue of postmedieval (spring 2013) and “All Things,” Animal, Vegetable, Mineral: Ethics and Objects, ed. Jeffrey J. Cohen (New York: Oliphaunt / punctum books, 2012) 1-8 (downloadable here). On grey, brown, black and other non-green shades for ecology see Prismatic Ecologies: Ecotheory Beyond Green, ed. Jeffrey J. Cohen (Minneapolis: University of Minnesota Press, 2013). “Dark ecology” is from Timothy Morton, Ecology without Nature: Rethinking Environmental Aesthetics (Cambridge: Harvard University Press, 2007) 159. In a world which is indeed our world, the one we know . . . . there occurs an event which cannot be explained by the laws of this same familiar world. The person who experiences the event must opt for one of two possible solutions: either he is the victim of an illusion of the senses, of a product of the imagination -- and the laws of the world then remain what they are; or else the event has indeed taken place, it is an integral part of reality -- but then this reality is controlled by laws unknown to us. It's that time of year again: new course syllabi! I am teaching a Master's-level seminar this semester on the supernatural, primarily in the Middle Ages, but with forays into: contemporary film and fiction; some classic (older) psychoanalytic, structuralist, and anthropological approaches to the theory of the supernatural and fantastic; and the role of the supernatural/haunting in American history (vis-a-vis Scott Poole's new book, Monsters in America: Our Historical Obsession with the Hideous and the Haunting). As I began preparing this syllabus, I realized that the supernatural -- as a category related to material/immaterial experience, as literary genre, and as an operative figure/realm/atmosphere within literature [furthermore, as both noun and adjective] -- was an incredibly slippery thing to define and in some ways, I feel it is important to foreground that slipperiness [which is definitively categorical and taxonomic] as a primary area of exploration in the course. The question of monsters and monster literature was raised in my mind as I was trying to choose primary texts for the course, mainly because that is a course I've taught in the past and I didn't want to just repeat that content with different questions, nor did I want this course to slip into yet another course on the post-human, of which I've taught many -- and there's nothing wrong with that, as the supernatural does of course entail, often, the non- and post-human, but following on the heels of a course on mise-en-abyme and nested worlds in literature that I taught last semester, and also because of my interest in speculative realism, I'm becoming increasingly excited about returning to certain structural questions having to do with the "weird" realism and ontology of fictional-possibilistic worlds. Within the realm of the supernatural there are monsters, of course, but not all monsters are necessarily supernatural and the supernatural is not always "monstrous," per se. Then again, that might depend on your point of view [but whose view, and when, historical context-wise?] -- a novel like Toni Morrison's Beloved seems an apt test case for thinking through such questions: is the supernatural a monstrous or an all-too-human genre, or something in between? You see, thinking about the supernatural is a tricky business. Is it ghost stories? Magic? Angels and demons? Fairy tales? Marvels and wonders? Tales of supra-psychic abilities? Any seemingly material phenomena that cannot be explained with recourse to what is "natural" or "scientific"? Is it a matter of belief, of superstition, of religion, of the paranormal, of dreams, Otherworlds [heaven, hell, faerylands, etc. ], other space-time dimensions [wormholes], or something else? How is the supernatural to be distinguished from the fantastic [or, are they same? ], and as a genre, from science fiction, from horror, from fantasy, and so on? Clearly, an interest in the supernatural is an enduring fascination over time, from Ovid's Metamorphoses to The Exorcist and television's Lost and Supernatural series and everything in between: we never seem to tire of the very types of stories that our scientific rationality [in the past and the present] tells us is either highly unlikely or could never possibly be true. In this sense, the supernatural turns out to be a felicitously fertile area for investigating questions of the ontological structures of realism and unrealism, in historical thinking as well as in literature. 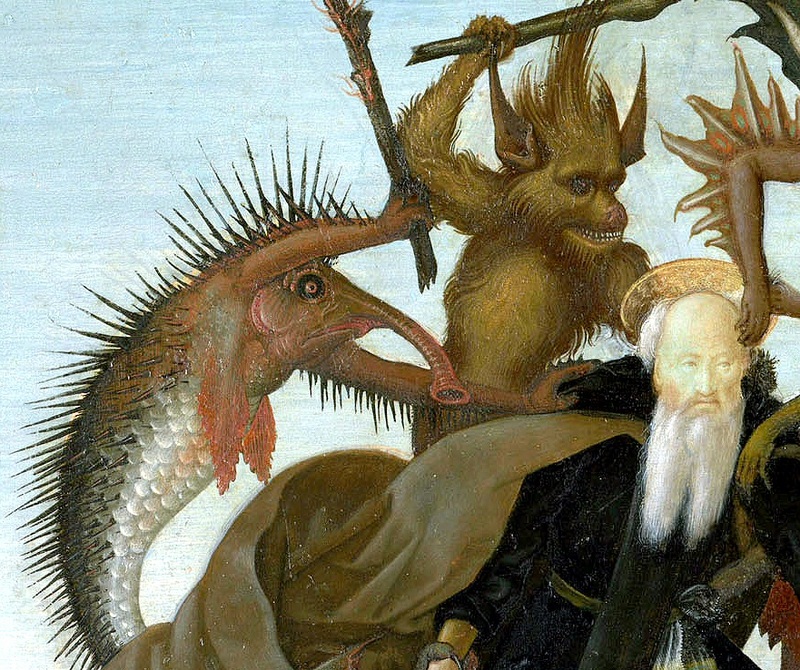 In this course, we will explore the realm and representation of the supernatural and fantastic in: (1) the medieval world -- in its imaginative literature, but also in its philosophical, scientific, and religious contexts; (2) some classic theoretical texts (written by Bruno Bettelheim, Freud, Tzvetan Todorov, and Maria Warner); and (3) contemporary cinema. One aim will be to deepen our understanding of the various and complex ways in which medieval persons understood the terms "natural" and "supernatural," and following the lead of historian Robert Bartlett, we will start with the caveat that the belief systems of the Middle Ages were no more coherent than our own, but rather reflect overlapping zones of intellectual debate, difference, and even "discomfort." As this is primarily a literature course, another aim will be to investigate together the aesthetic-fictional structures and properties of supernatural figures, states, and worlds, and how the "natural" and "supernatural" inform each other in literary works. Related to this, the theoretical texts we read together will help us to reflect upon the psychological, philosophical, cultural, social, political and other uses of the supernatural and why and how they have endured over time, and this is why we will also delve into some contemporary works, such as the films The Exorcist, Le Pacte des Loups [Brotherhood of the Wolf], and Pan's Labyrinth, Neil Gaiman's novel Neverwhere (1996), and portions of historian Scott Poole's new book Monsters in America: Our Historical Obsession with the Hideous and Haunting (2011). This course will therefore hopefully serve as both an immersion in medieval literature and intellectual history on the supernatural, as well as a more broad cultural studies primer on the role of the supernatural in the imaginative arts over time that will ideally also help us to approach the question of realism and unrealism in literature from fresh perspectives. You can see the full syllabus HERE. In addition to the core readings on the syllabus, I would also like to build for my students an online bibliography of secondary scholarship on the supernatural both in the Middle Ages and in contemporary cultural studies. So, if you have any suggestions for that bibliography [or even for primary readings for my syllabus: I still haven't decided which saints' lives to use! ], please do post those suggestions here: that would really help me. 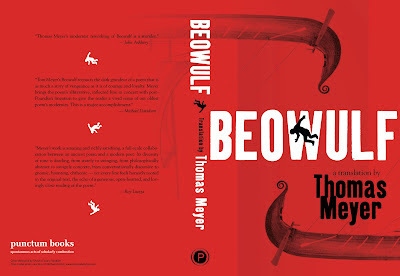 Thomas Meyer’s reworking of Beowulf is a wonder. Speaking of both free and also affordably-priced books upon which much time and devotion have been lavished, might we make a wee plea here for the importance of supporting open-access publishing ventures such as punctum books? punctum is dedicated to bringing out the very highest quality and creatively experimental books and journals across what we call a whimsical para-humanities assemblage [see our more detailed vision statement and Advisory Board HERE], and we are [humbly] intent as well on reinventing so-called “academic” and “cultural studies” publishing as we know it, with an emphasis especially on allowing authors the greatest room possible to innovate thought, to develop new forms and styles of writing, and to chart untested [even foolish] waters, without lifejackets or crew captains or gate-keeping overlords. We are also intent on rescuing and cultivating thinking and writing that might otherwise go unloved, untested, and end up lost or forgotten. In order to foster such an environment and to also give authors the beautiful books they deserve requires a lot of unpaid, volunteer assistance [and here I thank those who have already dedicated so much of their time to helping us format, design, copyedit, and proof our books: Cindy Bateman, Reg Beatty, Alli Crandell, Andy Doty, Kevin Eagan, Michael Munro, Dan Rudmann, and Andrew Weiss]. Every book we make, we will give away for free in electronic form, because we believe in the richest possible artistic-intellectual para-university commons in which everyone has access to whatever they need and want, whenever they need and want it, and so that authors can have the widest possible readership. But we also believe in the printed book: as a work of art, as a stylish object for one’s cabinet of curiosities, as a material comfort [or bracing cocktail] to hold in one’s hands, as something that takes up weight and space in the world and adds something of beauty to the thoughts, images, and narratives we hold in common. punctum believes the printed book is marvelous little tool of what scientist Andy Clark calls distributed cognition, and as those of us who founded the press are medievalists, well, we have a fondness for libraries of a certain baroquely Borgesian variety. So consider buying a copy of Thomas Meyer’s Beowulf, to furnish your mind and library, and also as a donation to the public good of open-access publishing. We are such stuff as geology is made on, our little lives limned by tectonic shift. 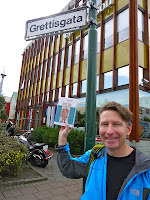 Long before New Chaucer Society announced that the next biennial congress would take place in Reykjavik, I'd booked tickets for Iceland and rented an apartment in the city, intending to make the island our family vacation this year. I'm just back from that trip and am only now catching up on email. 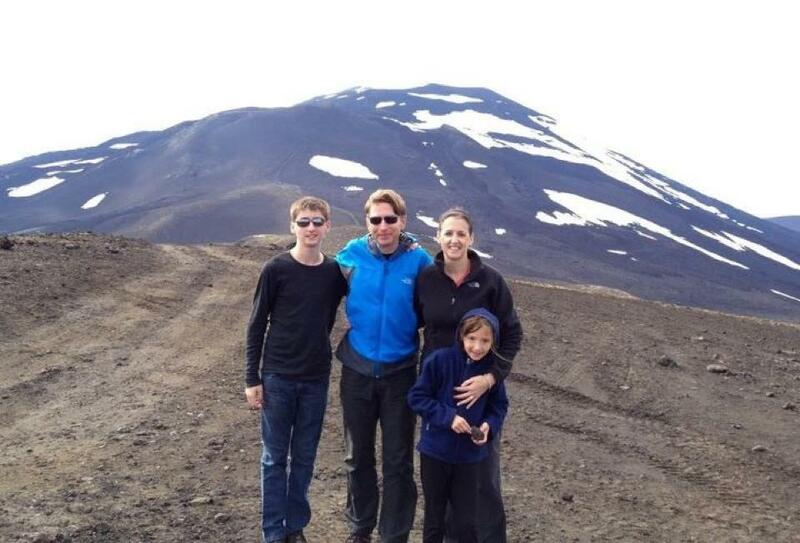 We're fortunate that both our children enjoy hiking, nature, being outdoors -- and Iceland is perfect for those activities. But I also possessed scholarly reasons for a journey so close to the Arctic Circle. I recently completed a triptych of small essays on Grettir's Saga (the introduction to AVMEO, a portion of the essay on "Fire" I've co-written with Stephanie Trigg for the postmedieval issue on Ecomaterialism, and a piece on elemental relations for the inaugural issue of O-Zone). Iceland's youth as a landmass also intrigues me. After all, I'm in the midst of a book on stone, and to explore a place where the geology is so young seemed the perfect way to steer me towards the volume's elusive conclusion. I'm extremely fortunate to have received research funding from the Guggenheim Foundation to work on Stories of Stone. Combined with support from the ARC History of Emotions project, the Foundation assisted me in traveling to Australia last year, enabling me to think deeply about the relations among materiality, affect, and geo-artistic communication. 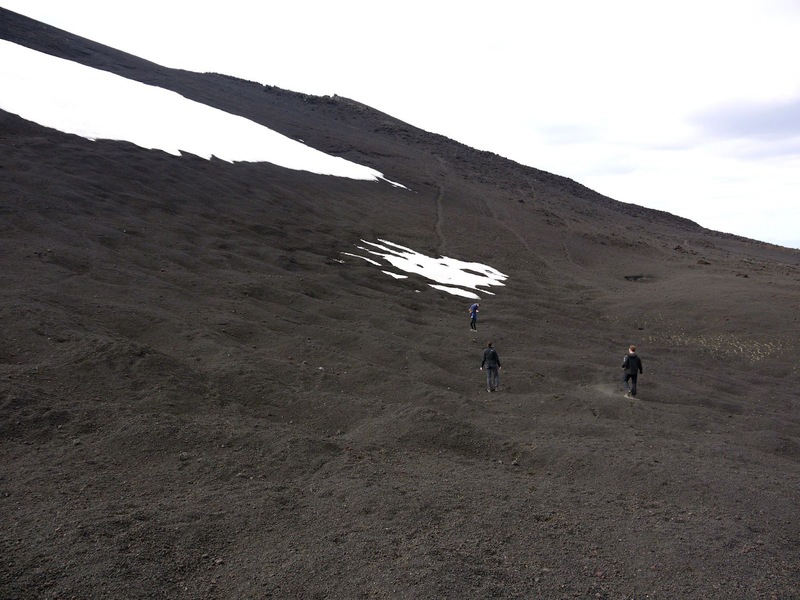 Stephanie and I meditated simultaneously on Australia and Iceland in our "Fire" essay, and that pairing seemed so catalytic that I decided to use my remaining funds to roam Icelandic glaciers, volcanoes, green valleys and marinal edges to see what lithic narratives might emerge. I don't want to be hyperbolic and state something like the experience changed my life or changed my project -- but in fact both those statements are true in rather profound ways. Wandering Iceland spurred geologic realizations. It's like tectonic plates moving. You don't usually get an earthquake or a volcano announcing that the alignment has shifted or that the shoreline has expanded, because the action is so slow as to be invisible, but sometimes when you look back with enough perspective at the landscape you've traversed you realize that the past is different from what you thought it was, and that means present and future are altered as well. Knowing the ground's innate drift (it is always on the move, has always been on the move), its relentless if quiet friction and its drive towards strange conjunction makes present perturbation more companionable. Let me put this another way. I have long known that the ground (and by this I mean the geological strata upon which we walk and build, as well as history itself -- ground as both literal and figurative) is unsteady. Despite our desires for stability, geological and epistemological ground shifts. The desert was a seabed, the whale bones are now atop a mountain, the past is never what we thought it was, everything withdraws but every object also reveals unplumbable depths. Stories of Stone is built around these truths, as well as the conviction that medieval writers meditated upon inanimate matter and came to rather similar insights, expressed within different but sympathetic modes. Rock communicates something nonhuman and yet weirdly creaturely, queerly vital, even to writers who supposedly have all the answers they need in theology or received history. Trekking the ashy wastes around a volcano (Hekla, which last erupted in 2000, and in the Middle Ages was described as Hell's gate -- and was also where Prometheus was filmed, so otherwordly are its dusky landscapes); standing at the point where the Alþingi was once held but also where the North American and Eurasian plates are moving away from each other, sinking the valley into fissures that are also the generation of new seabed; viewing the stones that surrounded the hearth of a homestead built in the tenth century and thinking about how fire and stone have been our best allies for life in a difficult terrain; walking atop the glacier Langjökull, knowing that the ice is hundreds of feet thick and on the move and taking us with it, but also filled with moulins down which the melt swirls and being secretly afraid that Alex or Katherine would vanish into one (that is, being reminded how very much I love my family and want nothing ever to take away what we have, even if all lives are limned by catastrophe); hiking a trail along which the rocks changed in color from red to blue to grey to vivid green, all the while steam hissing from the ground and sulfurous mist drifting: all these experiences were deeply material, affective reminders of something I knew already but needed to stand in Iceland to apprehend most fully. Even the slowest element, earth, is unremittingly alive, animate, creative, archival, generative, destructive, artistic, alliance-loving, ceaselessly transformative. Maudlin, I suppose, to write such things. But there is always something uncomfortable about coming to such realizations, about losing some detachment and composure. I'd rather be uncomfortable than secure or dispassionate. Journeying through Iceland (and we went pretty far off road, and glimpsed landscapes that I knew from the sagas), hiking land shaped by forces that have in the recent as well as the medieval past obliterated life in torrents of fire, ash, magma, flood and suffocating ice, foregrounded for me the smallness of any life, its precariousness, the fact that we are hounded by disaster, the fact that we do not inhabit these landscapes long. Everything shifts. 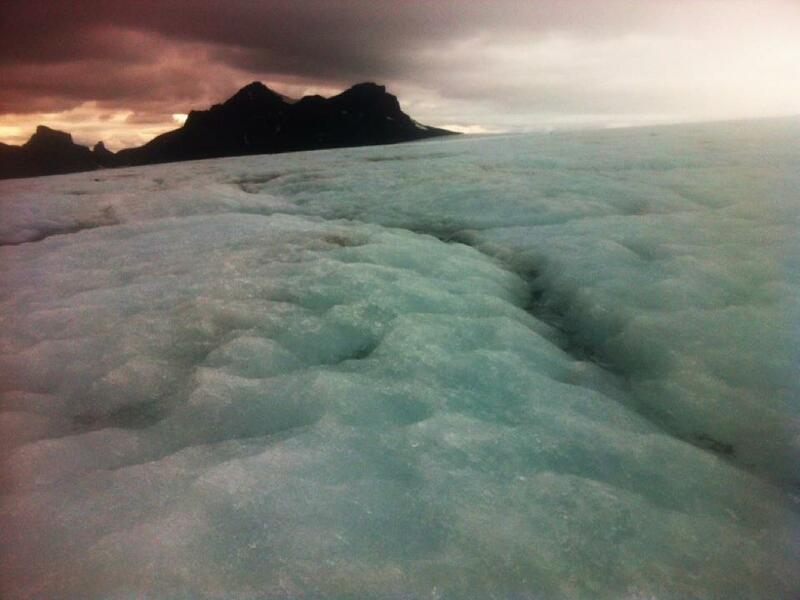 The island dwells between catastrophes, between fire and ice, and yet its history is continuous, readable, clear. Everything changes (Iceland is slowly growing; eruptions melt glaciers into lakes), a young geology is a perilous geology, and yet when Hekla spews flame the people of Reykjavik get into jeeps and drive up its side to watch the red of molten earth at twilight, or in deep winter seek hot springs in which to drink beer, soak, tell stories, watch the aurora. Katherine took a picture of me, Wendy and Alex in front of the Tjörnin in central Reykjavik. 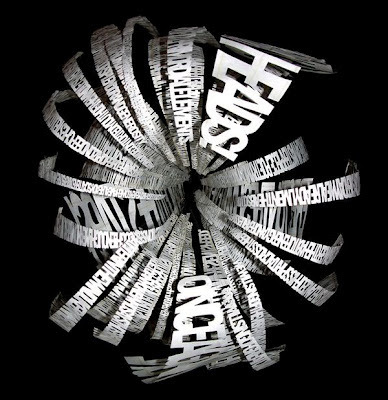 Our heads were nearly cut off and we loomed like giants: the world from her perspective. It was a small revelation. 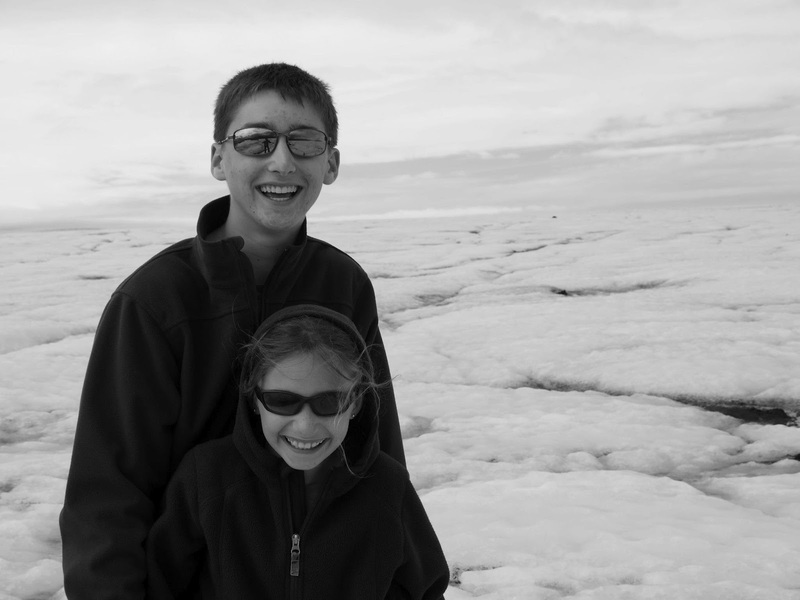 At age eight Katherine keeps up with us so well that we often treat her as if she is Alex's age. She isn't, and the photo's perspective was a reminder to allow her a prospect hers alone, to allow her to find her own way and not to fit her into our frames. Her picture also showed something else we didn't realize: Alex is taller than Wendy, and so nearly as tall as me. He is fifteen and very much his own person. 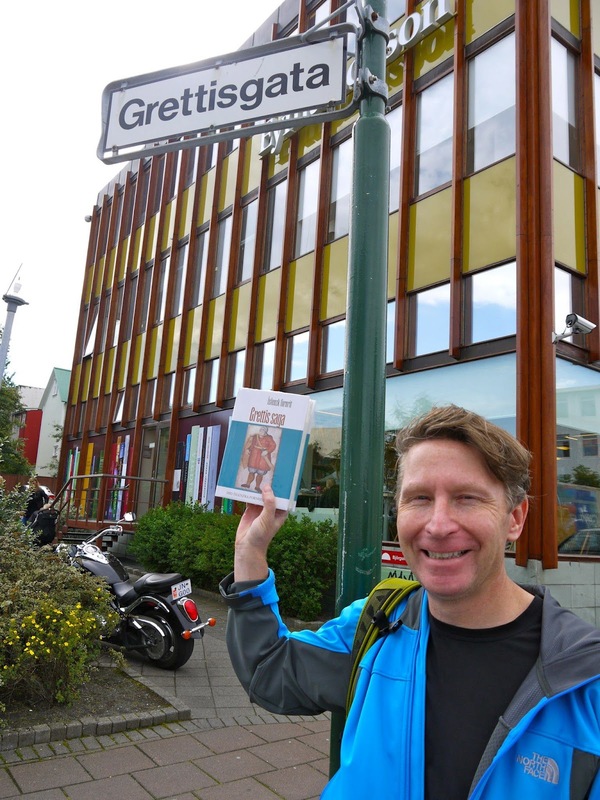 He flourished on our Icelandic voyage in a way we hadn't seen before. He is growing up. We're losing him, I suppose, or at least we are losing the boy he was. But just as the ground shifts, people shift in their lifetimes, and it is quite a privilege to watch the newness that emerges from Katherine and Alex both. Before I left DC I thought of Iceland as the closing chapter of my book, but really the island is its every page. Like Australia and Britain and France Iceland is a principal and individual character, a collaborator or writing partner. The book has a prologue and epilogue (Maine, on the rocky shores of which I have come to realize the book's idea erupted, likely when I was Katherine's age), but its geology and history is a story told through the collection of stones I've amassed from all these distant places. Hubris: to imagine that rocks tell our stories. Hubris: to imagine that rocks are not intimate to the stories we tell. Hello everyone, just back from Iceland and Maine and trying (mostly in vain) to catch up on email. I'll share a bit of the family travels here eventually, but for now: a few CFPs that will interest you. José Saramago’s History of the Siege of Lisbon (1989) is structured around a transgressive proofreader who alters the course of history with the insertion of the word “not” in a historical text. By negating a crucial statement in the text, the proofreader then sets out to rewrite the history of the siege of Lisbon. Medievalists must often reconstruct the nature of their objects and audiences in order to produce narratives on visual and literary interactions between images, texts, and their communities. Through excavations, primary texts, and artifacts, cultures of reception are articulated and experiences with objects and texts are interpolated. Similar to a proofreader’s ethical code, archaeologists and art historians operate with an infinite list of assertions and negations that define the possibility of certain inquiries and narratives. The scholar knows, for example, that an eleventh-century Byzantine viewer did not use an iPad for worship. Despite understanding the visualities of a Byzantine beholder and the workings of an iPad, the extrapolation of this encounter is verboten as a scholarly narrative. Nevertheless, such encounters across time offer fruitful parallels and sites of generative critical resistance that operate within the same processes of imaginative and discursive (re)construction that a scholar deploys to produce any historical narrative. The “imagined encounter” enables the scholar to produce scholarship that is socially motivated, rooted in the concerns of the present while still offering critical feedback beyond anachronism. This volume’s essays encourage the suspension of disbelief and the negation of historical ‘givens’ in order to construct imagined (rather than imaginary) historiographies. Please submit a 500-word abstract along with a CV to the volume’s editor, Roland Betancourt (roland.betancourt@yale.edu) by 15 October 2012. At the 2012 Kalamazoo Exemplaria roundtable (“Literature, Theory, and the Future of Medieval Studies: Middle English and its Others”), the panelists raised a number of urgent questions about the current state of the long-standing relationship between medievalism and inter-disciplinarity, which has recently been threatened on several fronts. How can scholarship intervene in the crisis that endangers the survival of so-called “minority” departments and fields like French, Italian, German and Anglo-Saxon? What have been the most successful strategies for resisting, complicating and reversing the English colonization of Beowulf, Marie de France, and Continental theory? How might pedagogical and scholarly inter-disciplinary strategies be implemented in research and scholarship? How have digital tools been used, and how might they be used in the future, to continue the project of decentering canonical texts from their nationalist origin myths and resituating them in the context of the global or transnational Middle Ages? Other avenues of inquiry may include, but are not limited to, explorations of novel (and promiscuous) applications for fresh philological, inter-textual, and collaborative scholarly methods, particularly those that arise from “minority” disciplines. We welcome experimental methods of cross-fertilization (collaboration across disciplines or periods, use of digital tools/media, and flirtation outside the bounds of fluency or departmental affiliation). We invite disciplines across the academy, including History and Art History, as well as the more recent scholarship of the Medieval Mediterranean and the Digital Humanities, to engage with this ongoing conversation. As Zrinka Stahuljak has argued, "our research cannot continue to privilege only contact between texts, but must add the dimension of contact between people(s), facilitated by 'fixers'—interpreters, local informants, guides, or negotiators." This is a call for fixers. Please send abstracts of 250 words to Emma Solberg & Ellie Voss eee2q@virginia.edu by Sep. 28. The Conference will consider the gendered nature of social, religious and economic uses of ‘things’, exploring the way that objects and the material environment were produced, consumed and displayed in medieval culture. Papers will address questions of gender from a range of interdisciplinary perspectives, embracing literature, history, art history, and archaeology. Plenary papers will be delivered by Prof. Catherine Karkov, University of Leeds and Dr Simon Yarrow, University of Birmingham. From saintly relics to grave goods, and from domestic furnishings to the built environment, medieval people inhabited a material world saturated with symbolism. Gender had a profound influence on the production and consumption of this material culture. Birth charms and objects of Marian devotion were crafted most often with women in mind, whilst gender shaped the internal spaces of male and female religious houses. The material environment could evoke intense emotions from onlookers, whether fostering reverence in religious rituals, or inspiring awe during royal processions. How did gender influence encounters with these objects and the built environment? Seldom purely functional, these items could incorporate complex meanings, enabling acts of display at every level of society, in fashionable circles at European courts or amongst civic guilds sponsoring lavish pageants. Did gender influence aesthetic choices, and how did status shape the way that people engaged with their physical surroundings? In literary texts and in art, the depiction of clothing and objects can be used to negotiate symbolic space as well as class, gender, sexuality and ethnicity. Texts and images also circulated as material objects themselves, with patterns of transmission across the British Isles, the Anglo-Norman world, and between East and West. The exchange of such objects both accompanied and enacted cross-fertilisation in linguistic, political and cultural spheres. The first thing I’ll say about the descriptive turn is, in brief, “been there, done that.” Many arguments in the texts that Ruth Evans distributed for this seminar [see Works Cited, below] resonate with what medievalists have been doing for some time. Heather Love associates the “turn” with a rejection of “the ideology of humanism” (“Close But Not Deep”)—a phrase used with comparable scorn sixty years ago by D. W. Robertson, Jr., Bernard Huppé, and other exegetical critics. Of course, the Robertsonians might exemplify another of Love’s targets, the presumption of the critic to “[interpret] divine messages” in acts of “ethical heroism”—but other Chaucerians slammed into that target long ago. I refer to critics like Talbot Donaldson and Charles Muscatine, who practiced the “close but not deep” reading that Love advocates. Repudiating patristic exegesis, attending instead to manifest features of tone and style, Donaldson emulated the position that he attributes to Chaucer’s own persona, that of—in Love’s phrase—“humble analyst and observer.” More recently, medievalists have anticipated the “descriptivists” in other ways. Few of those who read papers at NCS idealize a stable “text,” for instance, nor do we “conflat[e] the social practice of reading with the activity of expert readers,” as John Frow puts it (“On Midlevel Concepts”). We study communities of readers based on gender, language, class, sexuality, and ideology, and we are keenly aware of the diversity and materiality of individual manuscripts. Nor do we generally celebrate what Love disparages as the “singularity of the literary” (“Forms of Description”). That is, medievalists seem to spend less time on what she calls “the metaphysical and humanist concerns of heremeneutics” (Love, “Close But Not Deep”) than on codicology, natural and social history, and philosophical and theological frameworks. We often raise concerns that might be called pre- or post-humanist. Indeed, we are spending more time on such matters than we once did. And that leads me to a second and less self-congratulatory point about the descriptive turn. If many of its attacks leave us unscathed, we might benefit from its fresh and forceful defense of reading. Particularly exciting to me is Heather Love’s call to redefine literary studies as “a discipline defined by reading or close reading”—that is, “reading across fields.” To me, the best recent work in medieval studies reads texts—poems, encyclopedias, laws, manuals, records—not just closely but continuously, from beginning to end, with sustained attention. And with humility. That word surfaces in several of the essays that Evans distributed, and humility shapes nearly all of them, especially Latour’s moving reconsideration of his own participation in critique. Heather Love’s reading of Beloved is avowedly modest: she retreats from her original confidence (shared by many readers) that the novel’s climactic moments endorse an ethical stance that she had anticipated and could expound authoritatively. Similarly, in reading the lyrics of Bernart de Vendatorn, Simon Gaunt backs off a little from his standpoint as a brilliant exponent of critical queer studies; moreover, he relinquishes the somewhat arrogant skepticism of many modern readers toward the troubadours’ religious and sacrificial discourse. Equally interesting about Gaunt’s essay, however, is his employment of psychoanalytic concepts. That raises my third comment about the descriptive turn. To me, Gaunt seems to read both “close” and “deep.” On the one hand, he “attends to what is most obvious” about Bernhart’s lyrics, taking them “at face value”—here I borrow Love’s quotation from Leah Marcus and Stephen Best in Representations. On the other, he also demonstrates what he calls “functional” parallels not just with religion but also with Lacan’s analysis of “desire of/for the Other.” This is hardly “flat” or “thin” reading. Indeed, I would have found Gaunt’s close reading less coherent without the psychoanalytic parallel (though I seldom find Lacan coherent in isolation). The power of Gaunt’s close-and-deep reading leads to my fourth and final point, which concerns description itself. Some descriptivists ask that we “reject the traditional humanist categories of experience, consciousness, depth, and motivation” (I quote Evans’s paraphrase of François Dosse); but those categories inform Gaunt’s essay as fully as does his “atten[tion] to what is most obvious.” And they inform at least one of the fields on which the descriptive turn bases itself. I refer to animal ethology, the systematic study of animal behavior. Love writes that ethologists are “less interested in motivation than in gestures, behavior, and pattern” (“Close,” 378). But Gregory Bateson, whose work Love cites in this regard, writes about the ways in which nonhuman primates signal their motives—in particular, playfulness instead of aggression (Steps to an Ecology of Mind, 179-81). More recently, Marc Bekoff argues that the behavior of a wolf or baboon can be best described with reference to affective states and motivations—that is, described more economically and with more predictive value than it can be in rigidly objective terms (Emotional Lives of Animals, 121). And empirical work in neurology has shown that to label as “empathy” certain cognitive responses (in both human and nonhuman animals) is an act not of inference or interpretation but of accurate description: neural activity in an observer’s brain mirrors that in the brain of the creature being observed (citations in, e.g., Bekoff 12 and 128). The brain re-writes what it sees. Indeed, on a somatic level, empathy is description. To suggest how reading might be both descriptive and empathetic, I turn briefly to a text that has received too little reading of any kind: Robert Henryson’s “Morall Fabillis.” Work on the fables has focused primarily on the relationship between what John Marlin calls the “humanism of the [Aesopian] tales” and their didactic, often incompatible moralitates (Marlin 135). In the last of the thirteen narratives, a naïve mouse accepts a toad’s duplicitous offer of help crossing a river. As the two struggle, a kite snatches and eats them both. As Edward Wheatley writes, Henryson supplies two epimythia, or “morals”—one “social” (don’t trust false companions) and one spiritual (the body bears the soul downward until death attacks) (Wheatley, 94-96). Attending to “what is most obvious,” readers have noted that the morals contradict: the mouse might have declined the toad’s offer, just as we can avoid false friends, but the soul can hardly refuse the body’s portage through what Henryson calls the “watter [that] is the warld” (Henryson, l. 2955). And the second moral jars against the narrative itself, for mouse and toad were equally corporeal; before meeting the toad/body, the mouse/soul yearned not for heaven but for easy eating in a field of grain. Wheatley and others confront the divergence directly: they conclude that Henryson exposes the “variety inherent in the scholastic fable tradition,” or places the reader “in the uncertain space between precept and [narrative] example” (Wheatley 99, Marlin 145). Their conclusions remind me of John Frow’s account of descriptivisim. Frow’s “midlevel concepts” arise, he explains, not just from “an aggregation of elements heterogeneously and contingently assembled at any one moment of the social” but from “the recursive ordering effects by which the social is assembled (and precariously maintained).” So too, we can see Henryson’s inconsistent moralitates as interacting recursively with each other and the narrative to produce contingent meanings. But that formulation is description only at a high level of abstraction. It bypasses elements of the texts themselves that most readers would call “description”: narrative and sensory details. In Henryson, those elements take us inside the characters, who are—I have argued elsewhere—bimorphic. On the one hand, their animal bodies are vividly detailed and intrinsic to the plot. The mouse can’t cross the river on her “short shanks”; she mistrusts the toad because of its wrinkled face and cheeks, its hoarse voice, and its “harsky hyde”; the kite pulls their skins intact over their heads before eating them, flesh “and guts also” (2779, 2819-22, 2903-6). Meanwhile, however, the mouse seems surprised when the toad proposes to get her across the river without a horse, bridge, or ship, as though she didn’t know that neither of them is human. Before agreeing to lash herself to the toad, the mouse expresses her mistrust by citing “clerks” who discern “the inclination of man’s thought . . . according to the bodily complexion” (2824-29; my emphasis). Presumably no mouse would refer to a toad as a man, and in any case, no mouse would appeal to clerkly authority. But what this anthro-mouse says sounds comically apt to both species. Her nervous discourse translates into human rhetoric the uncertainty of a small rodent confronting an amphibian that might be a predator. (Large toads can eat small mice but usually don’t.) Conversely, a human being might inflate her own autonomic recoil from ugliness as scholarly wisdom. Close-reading of this passage reveals trans-species subjectivity. The shifting moralizations do not simply reorder surface-reading; they open it further, enlarging the descriptive scope. Now the mouse and toad manifest entangled but conflicting impulses within humans; they are also any two subjects, human or otherwise, who can be comrades or predator and prey. What remains constant beneath the diverse forms is the experience common to the animals and readers alike, struggling and scheming but oblivious to the deadly kite. In both of her essays provided for this seminar, Heather Love borrows a phrase from Latour to indicate what we can gain by “a turn from interpretation to description.” Like Latour’s “constructive” sociology, she writes, reading that is close but not deep “aims to show ‘what the real world is really like’” (Love, “Close,” 377 and 388; also “Forms,” 8). Her embrace of that phrase surprises me because she also laments the “longing for a ‘new reign of Truth’ in our institutional DNA” (“Close, 388). “The real world” and (capital-T) “Truth” are not identical, of course, but readers of Langland know that immersion in one can lead to the search for the other. Fields of folk (or actor/system networks? ), dungeons ruled by Wrong, and towers of Truth are all right there on the surface, in multiple forms that have to be re-described. That surface is seldom “flat” or “thin.” Thus our descriptions must be close but not closed, always open to depth. Goldstein, R. James. “Writing in Scotland, 1058-1560.” The Cambridge History of Medieval English Literature, ed. David Wallace (Cambridge: Cambridge U P, 1999), p. 240 [229-54]. Henryson, Robert. Poems. Clarendon Medieval and Tudor Series. Oxford: Clarendon Press, 1963. Marlin, John. “Robert Henryson's 'Morall Fabilles': Irony, Allegory, and Humanism in Late-Medieval Fables.” Fifteenth-Century Studies 34 (2009): 133-147. Wheatley, Edward. “Scholastic Commentary and Robert Henryson's Morall Fabillis: The Aesopic Fables.” Studies in Philology 91 (1994): 70-99. *Essays distributed by Ruth Evans for consideration for the seminar.